Auburn, NY, March 8, 2019 - The 2019 Lake Ontario Fisheries Symposium with fish movement as the theme will be held at the Fingerlakes Mall, 1579 Clark Street Road, Auburn, N.Y., on March 23 from 10:00 am to 4:00 pm. 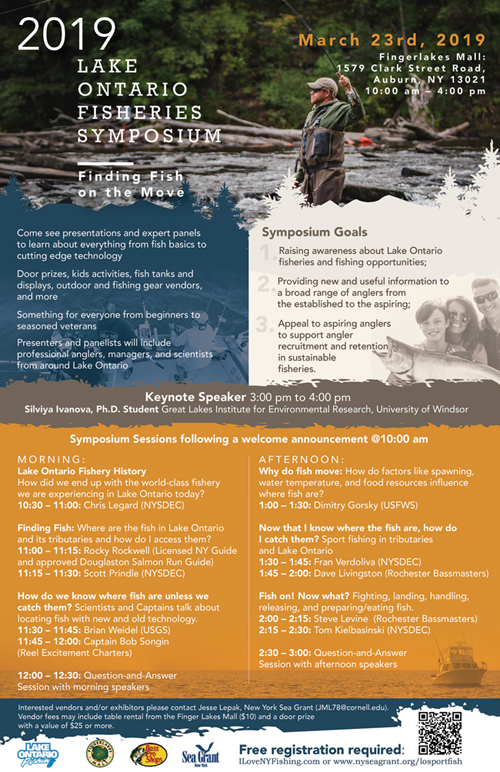 The symposium is open to the public; people of all ages can attend to learn about fishing on Lake Ontario and its tributaries from professional anglers, fisheries managers, and scientists. There is no fee to attend, but registration is required (click here). New York Sea Grant, the Lake Ontario Sportfishing Promotion Council, Fingerlakes Mall, Bass Pro Shops, and other partners are sponsoring this “Fish on the Move” symposium. A complete schedule of activities is posted here (pdf). 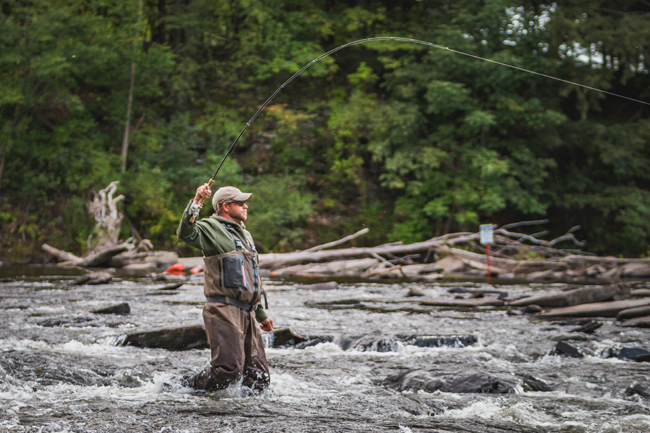 This angler enjoys fishing on the Salmon River, a tributary of Lake Ontario in Oswego County, N.Y. Credit: Oswego County Tourism/Brad Smith.